In this RP, you were born half pokemon and half human. you are depressed because everyone thinks of you as a freak. however, you later meet others like you, and together, you all find uses for your special powers. if the fighting gets to a certain level of intensity, i will say so. Abilities: can speak to both human and pokemon; can control water; can turn into any form of liquid. 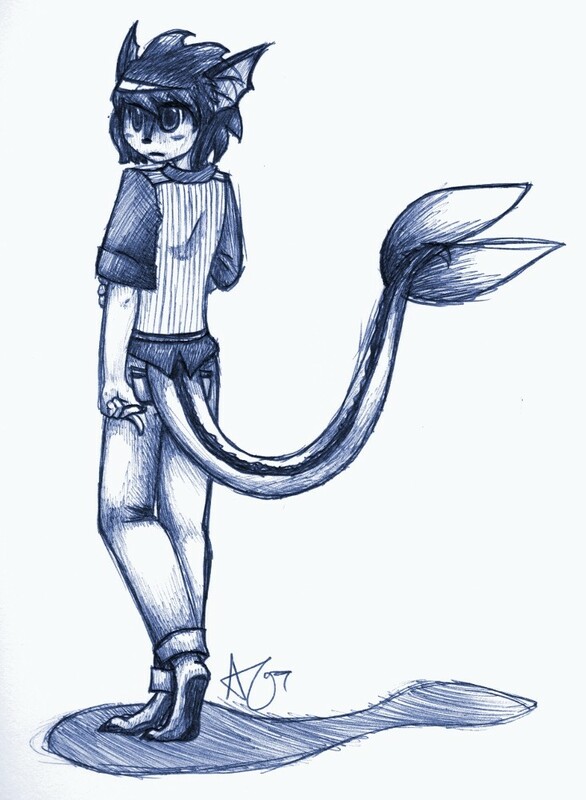 Bio: Abandoned by his parents as an infant, Ren grew up as a wild vaporeon. He has the instincts and mindset of one, and is unaware of what he truly is. He has been betrayed by everyone he has ever met, so he has difficulty trusting pokemon and doesnt trust humans at all. 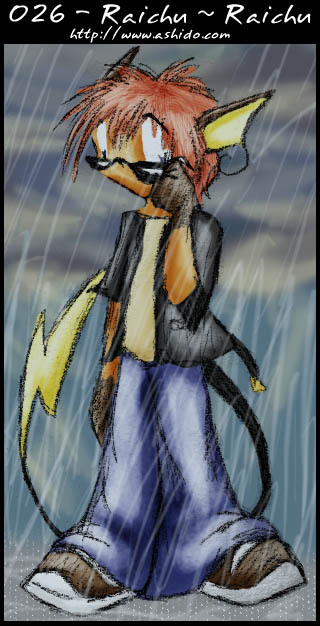 Bio: An anthro Raichu who, unknown to him, was created as an experiment using DNA from a legendary Pokemon who escaped as a kid. He does not remember the events of that day. Also unknown to him is his skillset. He can use any Pokemon move known, but he is unaware of that. He is a lone wolf who has never trusted anyone from the start. Get him angry enough and he'll go into rage mode, which makes him very powerful. Angrier still will make him go into Shadow mode. No one's seen him that angry though... Because they were all killed when they did see. Justin hides a lot of things. A lot. huh? what happened? my photo! where is it!? hey! give that back! thats my family!!! AGH! Who are you and why are you spying on me?! who.... who are you, anyway? Bio: After falling into a deep coma at the age of 10, when Silver looked into the mirror after waking up he found out he was half salamence. when he went back to school, everyone kept calling him freak and even the principal asked him to go to his office regarding his ridiculous costume. He claimed that there was an experiment, but the principal didn't believe him and kicked him out, and now Silver is a wanderer. silver, ur pic isnt showing. I am Justin. Now I'd like to know who YOU are! *turns around towards bushes and gets scared* whose there? no, dont shoot it! what if its hurt? what if its friendly?